In the 2018 CultureMap Tastemaker Awards, our annual event honoring the best in local food and drink, we spotlight categories such as best bars, best neighborhood restaurants, and rising star chefs. In those categories, the winners are decided by a panel of former winners and restaurant industry insiders. But for the category of Best New Restaurant, you get to decide, via our Tastemaker tournament, a bracket-style competition powered by Whole Foods Market. In the tournament, 16 new restaurants go head to head. You can vote once a day for your favorite. It will go four rounds, at which time two finalists emerge. We'll announce the winner at our party on April 19 at Sixty Five Hundred, with tastings of food and drink. Tickets are on sale for $55, with a portion of the proceeds benefitting Bonton Farms. To vote, click here. Don't delay: The first bracket ends on April 2. 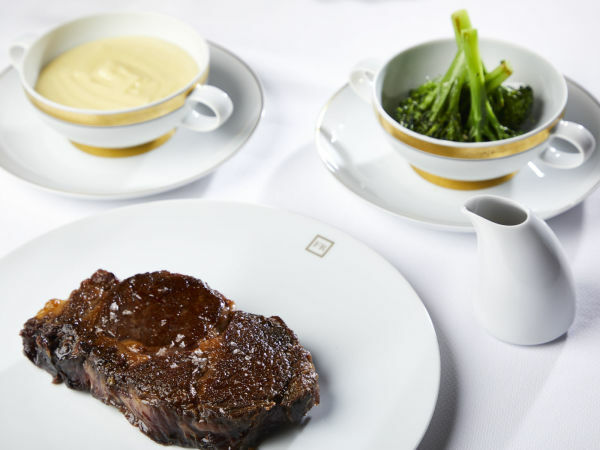 Michelin-starred Chef Bruno Davaillon (Rosewood Mansion on Turtle Creek) returns with an opus that serves a range of classic and contemporary French dishes. Open for lunch and dinner, it's an odd though beautifully designed space in downtown Dallas. Dining here is an elegant experience, with pristine presentations of seafood and vegetables on the finest of fine china. Another concept in downtown Dallas from the Headington companies (Joule Dallas, CBD Provisions, Sassetta, Wheelhouse), Commissary is a bakery, butcher shop, gelateria, espresso bar, and market. There are egg dishes at breakfast and sandwiches on crusty bread at lunch. It's on the ground floor of a six-story building that was renovated, with an eye-catching blue-and-white tile. 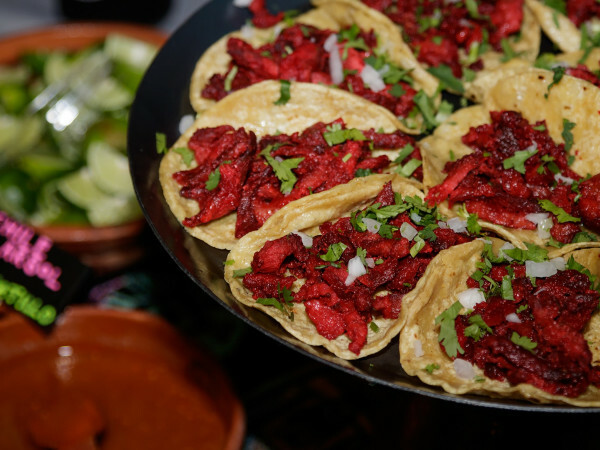 Mexican restaurant in Old Lake Highlands comes from a well-versed vet: John McBride, great-grandson of Mike Martinez, who co-founded the El Fenix chain. It's a neighborhood spot whose menu is mostly Tex-Mex, with margaritas and a full bar; but a special section on the menu was inspired by Rosa Mexicano, the famed upscale Mexican restaurant in New York. 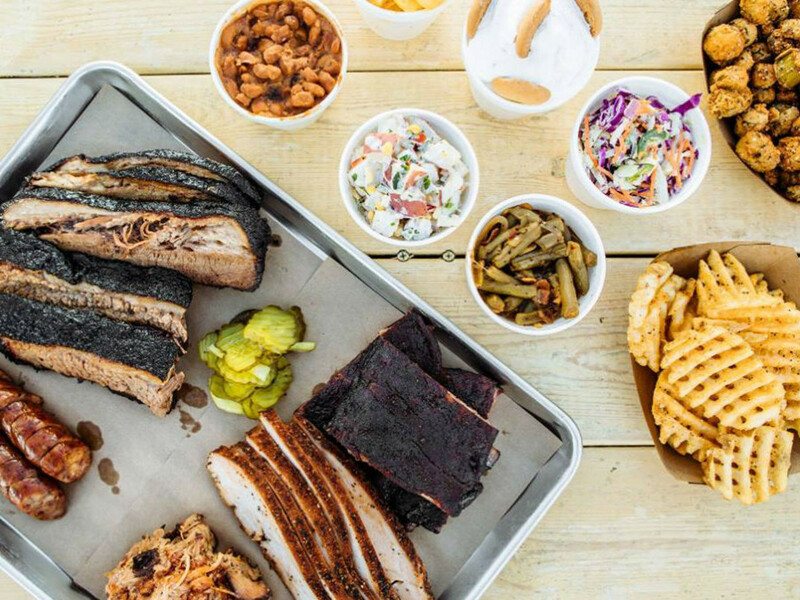 Over-the-top restaurant in Dallas' Design District from This & That Concepts (Parlay, High Fives, Tiny Victories) features barbecue from credentialed chef Doug Pickering, along with craft beer, live music, and a 50-foot running Ferris wheel. The brisket queso served with chips is divine. Myriad games include Jenga, bags, washers, hook & ring, oversized Kerplunk, checkers, and chess. ​Chinese-American restaurant on Lower Greenville, in the former Remedy space, is part of the 80/20 Hospitality Group (HG Sply Co.) The restaurant is dinner only with a late-night bar scene. The menu by chef Kirstyn Brewer includes such dishes as pickled veggie egg rolls, won ton soup with braised bacon and shrimp dumplings, and char siu pork with steamed buns. Park Cities hotspot from Brady Wood (Green Room) serves contemporary Mexican-inspired cuisine with a Guadalajaran focus and a mixology program, with artisanal spirits, highlighted by an extensive collection of tequilas and mezcals. Nestled in the entryway is a small market, with goods from Cerámica Suro, aboutique ceramics factory in Guadalajara, and Tlaquepaque-area artists. Downtown Dallas restaurant located on the top floor of Forty Five Ten and across from The Joule Dallas hotel boasts 11-foot floor-to-ceiling windows and a wrap-around terrace over looking Tony Tasset’s outdoor sculpture Eye. Cuisine is American, and executed by chef Josh Sutcliff, in collaboration with Junior Borges, executive chef of The Joule. Cool, classic Southern home-cooking diner located across from Dallas Love Field is from restaurateur Jack Perkins (Maple & Motor) and chef Jeana Johnson (Mot Hai Ba, Good2Go Taco). The duo come together to create the quintessential Texan spot with perfectly executed dishes such as chicken-fried steak, meatloaf, Frito pie, pork chops, and ham steak with the bone in. Dallas' Arts District scores a new restaurant specializing in contemporary Asian fusion cuisine. The menu includes sushi, Asian entrees made with French techniques, and a big selection of sake. Named for the Japanese word for "daughter," Musumé comes from Josh Babb, previously GM and co-owner at Kenichi Dallas, the Japanese restaurant that resided at Victory Park for 10 years. One of the restaurants at The Statler, the downtown Dallas hotel, Overeasy is an upscale diner serving breakfast, lunch, and dinner. Highlights of the menu from noted chef Graham Dodds include signature biscuits, deviled eggs, steak and eggs, and banana cream pie. It has a coffee bar, counter seating, and a patio overlooking Main Street Gardens. Cocktails, too. French for "a small bag of herbs and spices," this Oak Lawn Restaurant is from chef Stephen Rogers and his wife Allison Yoder, owners of the acclaimed Gemma. The menu has dozens of mezze offerings, many veggie-centric, that draw from a broad array of countries such as Spain, France, Italy, Greece, Lebanon, Israel, Turkey, Tunisia, and Morocco. 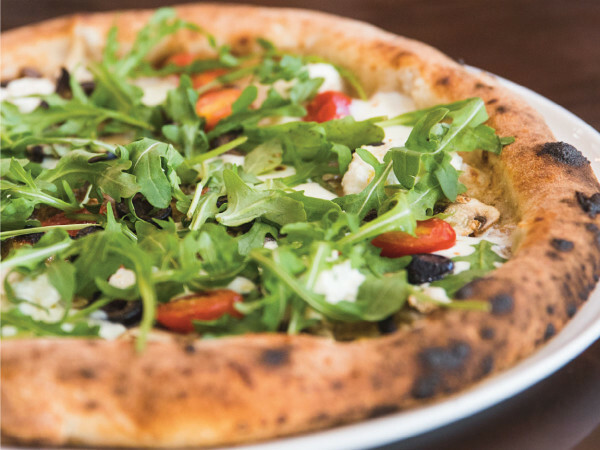 Casual Italian restaurant from the Headington companies (Joule Dallas, CBD Provisions, Commissary) does pasta and excellent pizza in an ultra-chic complex in the Design District, where it shares a patio with Wheelhouse, its gastropub sibling. Wine program is strong, and so is the pretty people watching. American brasserie from Stephan Courseau, located in the former Chili's space, boasts a wood-fired grill and oyster bar and the cooking chops of husband-and-wife duo Kelly and Melody Bishop. Restaurant keeps long, customer-friendly hours with a menu of seasonal dishes with a California flair, plus pastries and coffee. Restaurant featuring authentic Eastern Mediterranean small plates from celebrated chef José Andrés is in an impeccable space at The Star in Frisco. Menu is overseen by chef Jonathan Thompson (Sugarbacon, Samar, Stampede 66), and inspired by Turkish, Greek, and Lebanese cuisines. Grilled haloumi cheese is a customer favorite; house-made yogurt is a creamy delight. Italian-American cousin of the Cane Rosso Neapolitan pizza chain, Zoli's serves New York-style pizzas, salads, pasta, and sandwiches. Pizza dough and house-made bread is masterful thanks to the chops of chef and New York native Lee Hunzinger. Fun environment with in-jokes and pop culture references reflects the sly wit of owner Jay Jerrier.